The BC Lions annouced Thursday they have signed veteran running back Travon Van, who was released by the Edmonton Eskimos last week. 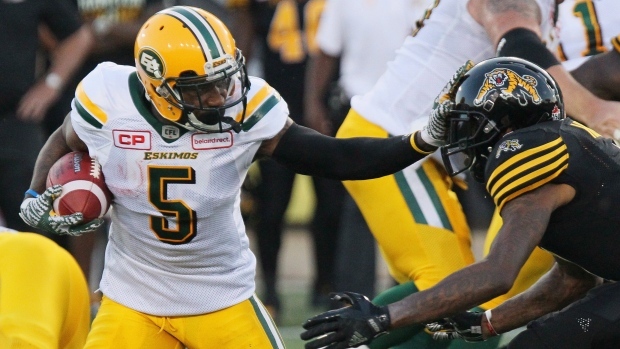 Van played in six games for the Eskimos last season, rushing 71 times for 283 yards and three touchdowns. The 27-year-old began his CFL career with the Ottawa Redblacks in 2015, playing two seasons in the nation's capital before joining Edmonton. For his CFL career, Van has 152 carries for 705 yards and five touchdowns.